Interning in the Indian Institute of Science under an eminent research professor is every Science and Maths student’s biggest dream. If you, too, have this dream but don’t know how to actualise it, then look no further. Here’s all you need to know to get an internship at IISc Bangalore. Students in the second or third year of their B.E./B.Tech/B.Sc or the final year of their M.Tech/M.Sc along with those who are pursuing Ph.D. are eligible for research internships at IISc provided that they’ve scored a minimum of 80% in their 10th, 12th, and all their college examinations. Broadly, the following are the three tracks for applying to IISc internships. 1. Through the national science academies – One can apply for the 2-month Summer Research Fellowship Programme (SRFP) at IISc through the national science academies. Interested students can download the application form available on the official websites of Indian Academy of Science (IAS), Indian National Science Academy, and National Academy of Sciences, India. Students need to upload their application form and a cover letter explaining what they aspire to learn during the internship. Summer interns are usually provided with accommodation at the IISc campus guest rooms, round trip train fares, and a stipend of INR 5-12K/month. Talk about win-win! Students can visit the official website of IISc and apply for the available internship positions. Also, various departments at IISc such as Department of Computer Science and Automation, Centre for Nanoscience and Engineering, and Department of Inorganic and Physical Chemistry list their internship openings on their respective websites. Students can check from time-to-time if internships are available in their area of interest. 3. Emailing the professors at IISc – Students can also email IISc professors for an internship directly. 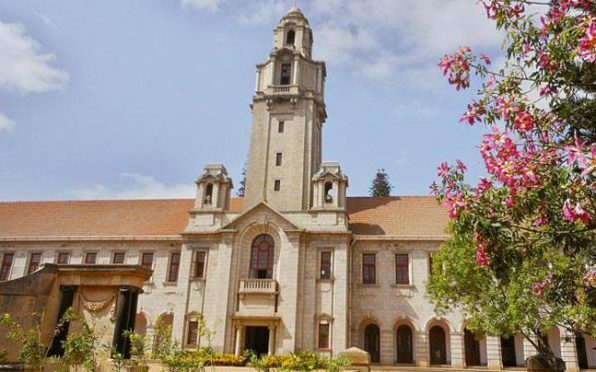 Choose a professor whose work at IISc Bangalore resonates with your interests and ambitions and send her a research proposal along with a statement of purpose (SoP), where you can mention your availability along with your research interests and how they fit into the professor’s area of expertise. You would also be required to submit at least one letter of recommendation from your college professors. The duration for these IISc internships depends on your agreement with your guiding professor. These internships may be open to an extension at the professor’s discretion. IISc and IAS have jointly launched a research internship program for SC/ST students who are pursuing M.Sc, B.E, or B.Tech. These internships last for a month in June/July and provide selected students with round trip train fares, free boarding, and a fellowship grant of INR 5000. Interested students need to visit the IISc website to submit the online application. For further details, you can visit here. What after submitting your IISc internship application form? The initial screening for an internship at IISc is done based on a student’s CGPA, college, recommendations, and statement of purpose. The list of candidates selected for SRFP is published in February or March; they can then begin their internship from May. Students who correspond directly with IISc professors have to appear for a telephonic/Skype interview if they get shortlisted. The interviews usually revolve around a students’ field of study, projects they’ve worked on, research interests, skill sets, etc. Most importantly, the professors want to know if students have an active interest in the field they’ve applied for, so they will ask you questions specific to your SoP. For example, if you are applying for an internship in Mathematics, you may be asked to solve algorithmic problems during the interview. If you mention an interest in physics, you may be asked questions related to pressure, thrust, etc. What to expect from your IISc internship? A guide is appointed to every intern for expert learning and supervision in the internship. Along with this, interns at IISc reap the benefits of unlimited access to labs as well as the latest technology and equipment for the entirety of their internship. Yes, you’re allowed to nerd out about it! An internship at IISc is jam-packed with an immersive research experience. Interns get to observe and participate in experiments alongside the experts. Not only do the interns assist their guide with specific projects but they might also head their own projects! This is a dream come true for every aspiring researcher. 1. The professors at IISc receive numerous applications for internships, so make sure your SoP stands out. Give some background information on your current field of study as well as your career plans in the chosen field and mention how interning with the respective professor can help you achieve them. Don’t forget to add any relevant experience that you may have in that field or any projects that you have been a part of. 2. Request your professors and HOD to write letters of recommendation for you; this would give you an edge during selection. Get a shot of inspiration by reading Diwakar’s internship experience at IISc. You can also read Tanya’s story of a life-changing experience at IISc. You can also check out similar research internships to give a kickstart to your career in research.